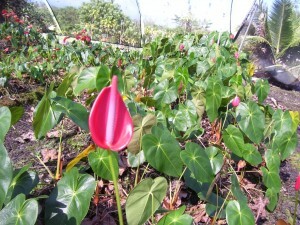 Tulip anthuriums originally hail from the tropical South American country of Panama. 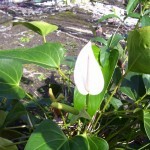 In the wild, they like to grow on boulders that are located next to streams. I guess they like hanging out by rivers, just like fly fishermen do. 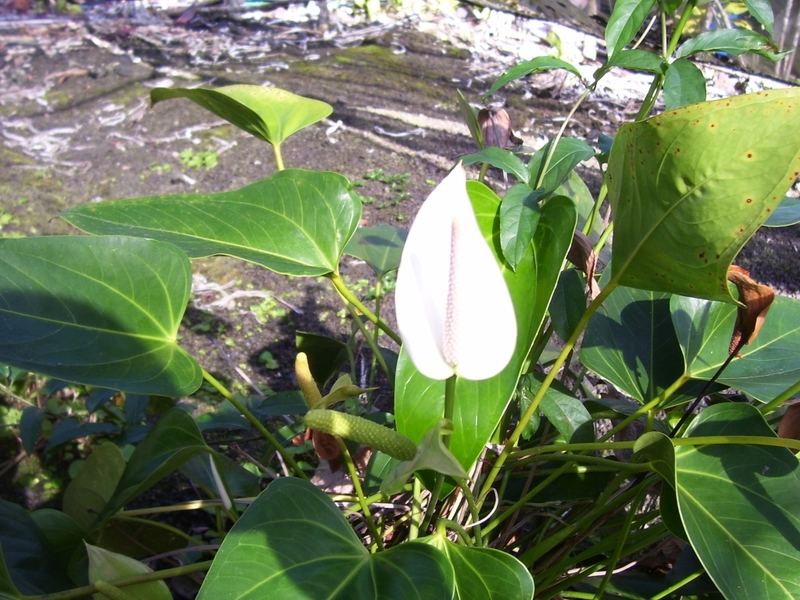 They are a most excellent variety of anthurium, because they have a pleasant, swell-smelling fragrance and they can produce up to eight flowers a year. 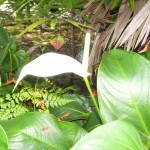 Furthermore, they make excellent indoor plants, because they are small and don’t take up a lot of room. 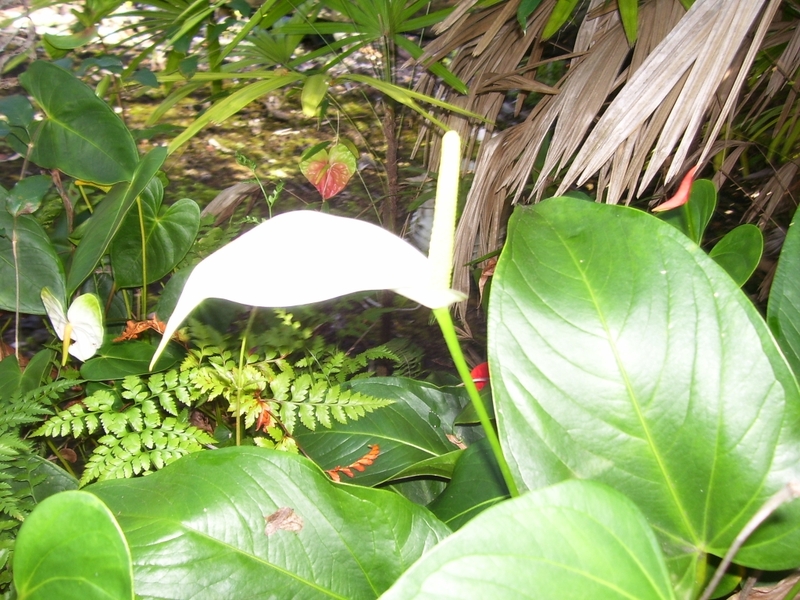 They are an interesting kind of anthurium because of the distinctive shape of their flowers. 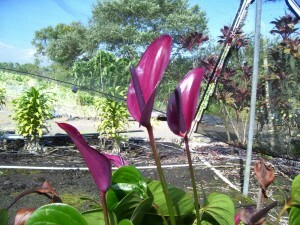 Instead of being heart shaped like most other anthuriums, they are tulip shaped. 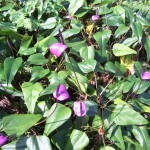 They have light purple petals and dark purple noses. I like how they are like tulips with a tropical ambiance. 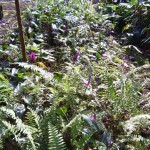 Pure-breed Amnicola produce small, dark-green, spade shaped leaves and small flowers with short stems that generally top out at twelve inches long. Amnicola has frequently been hybridized with Anthurium Andraeanum to produce a variety of flower colors, which include: purple, red, pink, purple, green, fuschia, lavender and white. Pure-breed amnicola and hybrid amnicola can both produce up to eight flowers a year, so your amnicola could have flowers on it year round. 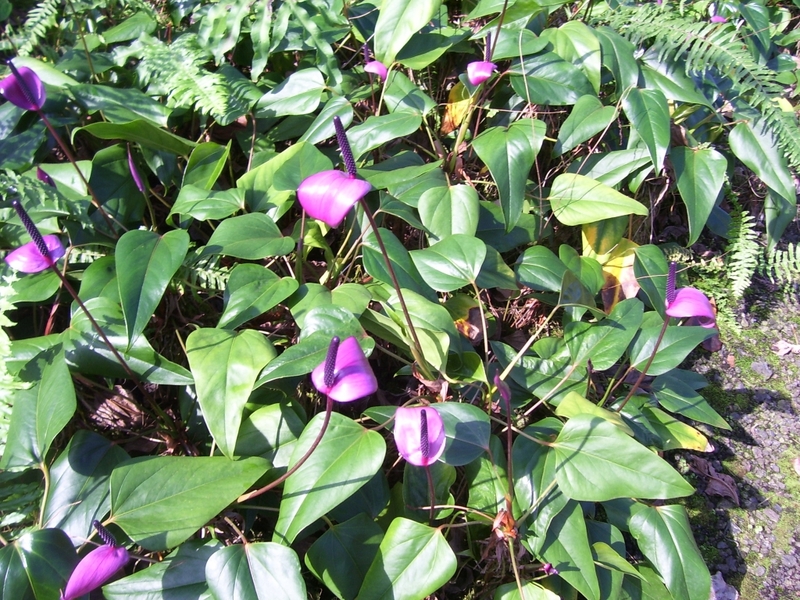 It also produces offshoots quite readily, so it is ideal if you want to produce more plants. 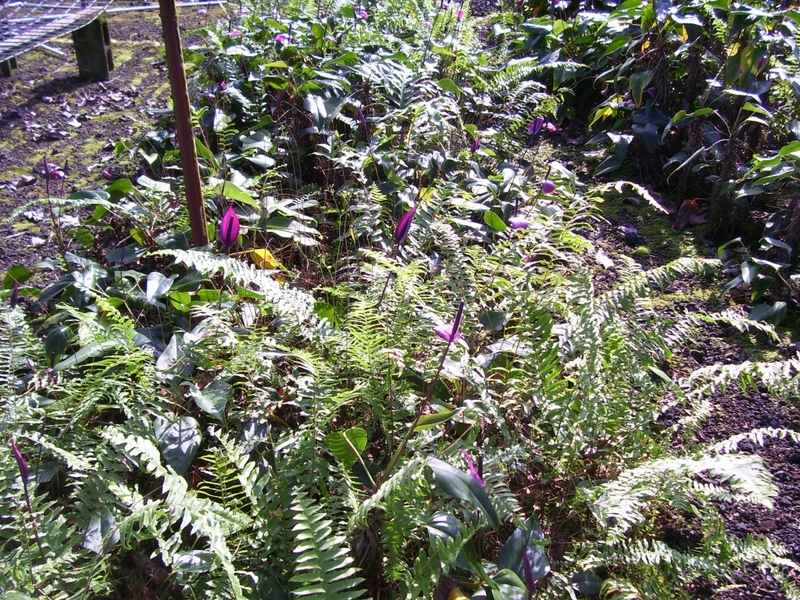 You can let the offshoots develop for a while and once they are big enough you can separate them from the parent plant and put them into their own pots. Some of the hybrids can have interesting names such as Misty Pink, Lady Jane, Pink Elf, and Pink Champagne. Others have less creative names like: Andraecola-1 and Andraecola-2 that were created by taking the first part of Andraeanum and the last part of Amnicola and putting them together. Of course these will probably be given other names at some point.